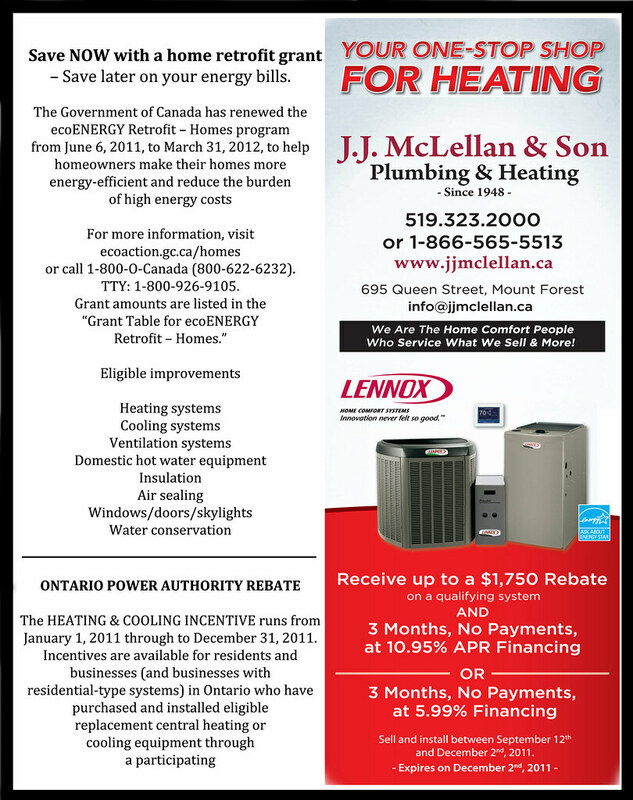 thermostat | J.J. McLellan & Son "
When you are thinking of re-decorating your home please keep in mind the location of your thermostat and all of your heat and cool registers. The other night I was watching a decorating show on a popular channel (that happens to be one of my favourite channels), the decorator wanted to hide the “nasty” thermostat… what she was hiding it with was a 1-2″ deep frame (depth was under neath) and this would infact then completely cover (and prevent ANY air flow from getting to) the thermostat. The frame was much like a shadow box, but with the depth to the back to cover the thermostat. The way a thermostat works is it has a sensor in it, this sensor senses when the temperature in the room drops below the tempterature set on your thermostat, thus calling for heat. When the thermostat is completely covered like this there will be NO air flow, the customer will then keep raising the temperature to get more heat into their home OR will call a service tech to find out why their home is not reaching the temperature the stat is set to… a waste of money in this case. Large, clear display with soft blue backlight shows the current and set temperature, day/date/time, indoor relative humidity and outdoor temperature (if optional outdoor sensor is used). Smooth Setback Recovery starts system early to achieve setpoint at start of program period. Compressor short−cycle protection (5 minutes). Real−time clock keeps time during power failures and automatically adjusts for daylight savings time and leap year. Maintenance reminders let user know when to service or replace filters, humidifier pads, ultraviolet lamps, plus two user or installer defined custom reminders. Programmable fan offers increased performance when combined with whole home indoor air quality products. Outdoor temperature display (with optional outdoor sensor) shows current outdoor temperature. 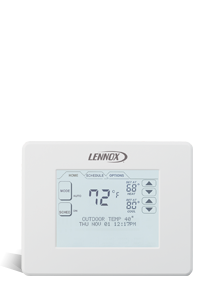 As you can see from some of these features of this particular thermostat it is essential for there to be air flow for proper operation, not only proper operation of the thermost but of the heating and cooling equipment that the thermostat is controlling. Why is it important to ensure there is adequate air flow around these registers? No matter what the age of your heating and cooling system, without proper air flow and circulation to and from the system, this can not only cause issues within your home but also in the system. The duct work in your home is designed for air flow to each room with hot and cold registers for proper air flow. The heat comes out of the hot air return register and then the cold air return register takes the air back through the system again. Your heating and cooling system is chosen and the duct work designed on your whole home size (square footage), which includes the air flow to and from each of the rooms. So if you have a piece of furniture in front of your cold air return your furnace cannot get adequate air to run the cycle, which could over time cause the system to over heat or break down prematurely. Having the registers blocked can also cause the A/C to lockout on high pressure. This also can cause dust and dirt build up within the rooms of your home behind the furnace and if ever suddenly sucked through your vents and duct work can cause unneccesary build up in your ducts and within the furnace filter. By not having proper air flow within your home this can contribute to mold and mildew problems as well, which will then affect breathing. By ensuring your registers are clear from furniture you can prolong the life of your heating and cooling system, as it will be operating properly and efficiently, and also improve the air quality in your home, as dust particles will be caught in the furnace filter rather than built up around your home. Especially if you are thinking of or just did upgrade to an Energy Efficient HVAC System – you want to ensure proper air circulation to reep the savings rewards!